Draft: 1995, Texas Rangers, 3rd rd. October 30, 2014 RHP Ryan Dempster elected free agency. October 30, 2014 Boston Red Sox activated RHP Ryan Dempster from the restricted list. February 22, 2014 Boston Red Sox placed RHP Ryan Dempster on the restricted list. December 19, 2012 Boston Red Sox signed free agent RHP Ryan Dempster. November 3, 2012 RHP Ryan Dempster elected free agency. October 7, 2012 Texas Rangers activated RHP Ryan Dempster. August 20, 2012 Texas Rangers activated RHP Ryan Dempster from the restricted list. August 17, 2012 Texas Rangers placed RHP Ryan Dempster on the restricted list. August 1, 2012 Texas Rangers activated RHP Ryan Dempster. July 8, 2012 Ryan Dempster roster status changed by Chicago Cubs. June 18, 2012 Chicago Cubs placed RHP Ryan Dempster on the 15-day disabled list retroactive to June 16, 2012. Tight right lat. May 3, 2012 Chicago Cubs activated RHP Ryan Dempster from the 15-day disabled list. April 21, 2012 Chicago Cubs placed RHP Ryan Dempster on the 15-day disabled list retroactive to April 18, 2012. Right quad strain. 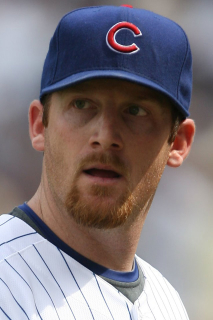 July 28, 2009 Chicago Cubs activated RHP Ryan Dempster from the 15-day disabled list. July 7, 2009 Chicago Cubs placed RHP Ryan Dempster on the 15-day disabled list retroactive to July 3, 2009. Broken big right toe.